“Beware of stories you want to be true, for whatever reason,” journalist Ben Bradlee once wrote. 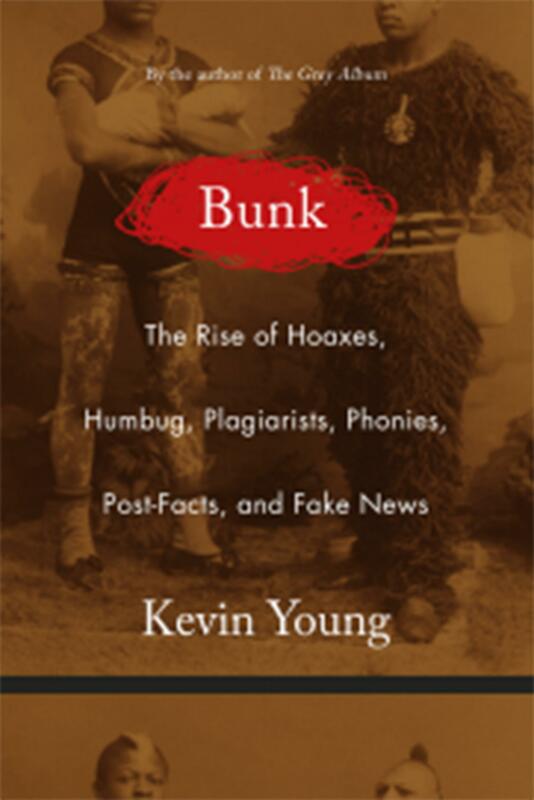 It’s a quote that appears prominently in Kevin Young’s rich, detailed nonfiction work “Bunk: The Rise of Hoaxes, Humbug, Plagiarists, Phonies, Post-Facts and Fake News,” a book brimming with stories from the past and near-present – each of them with an untruth, to some degree, at its core. Young said in a telephone interview last month that he spent six years researching the book, finding stories ranging from P.T. Barnum’s famously fake sideshows to the Cottingley Fairies hoax to the recent journalism scandals involving Stephen Glass and Jayson Blair. A new exhibit celebrates a lesser-known voice: the groundbreaking filmmaker Kathleen Collins, whose 1982 drama “Losing Ground” is one of the first (perhaps the first) theatrically released feature-length film directed by a black woman. Collins, who died at the age of 46, also wrote fiction, and the Schomburg has acquired a collection of her papers. “We’re really excited to honor her as a filmmaker and a writer and a creator,” said Young. And at The New Yorker, where he just began his position as poetry editor this month, Young is looking forward to finding new voices. Young said that about 30 percent of the poetry that appears in the magazine has arrived over the transom, unsolicited. “I think that’s really important,” he said. “There was someone who I didn’t know the other day whose work was terrific, and it’s going to be in the magazine.” Like research and curation, it’s a way to celebrate serendipitous findings; to bring light to something that might otherwise be lost.